I am afraid, however, that our culture has grown more and more cynical in the wake of the many public and self-serving apologies by famous people when they have done something wrong. One of the news items today is that Tiger Woods will be making a public statement on Friday before reporters, and the initial reaction of media talking heads is that his public statement will be the beginning of his reparation of his public image. Personally, while I am a fan of Tiger Woods like millions of others, I would like to see Tiger completely ignore the media, deal with his personal problems within a circle of privacy, and get back on the course and entertain us as the world’s best golfer. That’s the Tiger I know, the one who is an amazing golfer and entertains me. Tiger has not done anything to hurt me personally so I do not need to hear his apology or plan for rehabilitation. How closely do we connect these public apologies to the Judeo-Christian concept of “repentance?” Is repentance the act of apologizing and asking for forgiveness and then getting on with one’s life? Is true repentance private or public? Or both? And if both, to what degree of each? I guess it depends on the nature of the sin to be repented from. As I ask these questions and think about how we might answer them, I immediately think about one big assumption inherent in the questions. The assumption goes something like this, in three parts: first, we commit an act of sin; second, we recognize and apologize for the sin; and third, we work to repair the damage caused by the sin. This is definitely a big assumption and it unfortunately has little to do with the Judeo-Christian concept of repentance. You have probably heard many times before that repentance is not just the act of turning around but mostly the ongoing action of turning around and going the opposite direction one hundred and eighty degrees. Apologizing for and repairing the damage of sin are merely the healthy consequences of the sinful action—that is, making reparations—that prepares us for the change of direction, the repentance itself. 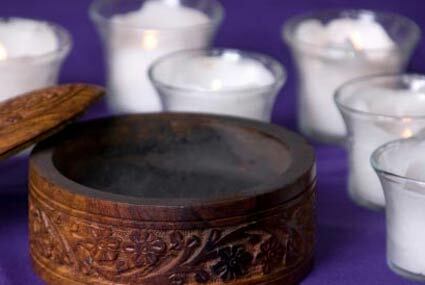 Today is Ash Wednesday, which marks the beginning of the Lenten season, the season of the Christian liturgical year primarily concerned with repentance. One typical practice of Christians during Lent is to “give up” something. This “giving up” of something harkens back to the origination of Lent as a time for fasting. Interestingly, we do not know precisely when or how the practice of Lent started. To the best of our knowledge Lenten practices started solidifying into tradition in the fifth century and reached some standardization into the Lenten season that we now know roughly 500 years later. So, for more than 1000 years Christians have been living the practice of Lent as 40 days of fasting prior to Easter. Fasting during Lent is an important spiritual practice because it reminds us that true repentance is a way of life, not merely a decision to “give up” something or to “turn away” from previous sinful behavior. Repentance requires preemptive “giving up,” preemptive “turning away.” And an even deeper understanding of repentance leads us to see the repentant life as one in which repentance transforms into sanctification, that is becoming more holy, more righteous. Repentance thus ultimately becomes more about purity and righteousness and less about correcting previous acts of sin and damage control. In verse 17 of Joel chapter two, the prophet implores religious professionals to cry out, “Spare your people, O Lord, and do not make your heritage a mockery, a byword among the nations. Why should it be said among the peoples, ‘Where is their God?’” I am afraid that this prophetic command to religious professionals is something that we fail to do regularly. The Hebrew word for byword here is the word mashal, which means something like a parable or a pithy saying or a bit of wisdom like a proverb. We religious leaders often think that our job on Sunday mornings is to preach the “heritage of God” by giving relevant examples of what Jesus taught, or how Jesus did things, or what Moses said, or how Moses led the people out of Egypt. Yes, this kind of preaching is important, but it should be only the means to the end of leading the people to repentant life. Often times the people can lead religious professionals to the repentant life and thus perpetuate the virtuous circle of becoming more righteous. This is what we celebrate tonight on Ash Wednesday. We celebrate the repentant life as the melding of private repentance and public confirmation of and commitment to live together repentantly. Consider the words of Scott Lee Cohen when he resigned from the lieutenant governor’s race during the Super Bowl game with his son sobbing into his shoulder, “And I pray with all my heart that I didn’t hurt the people that I love so much. All I every wanted to do was to run for office and to help the people, not cause chaos. When I decided to run for lieutenant governor I did it with my heart and my soul. I thought that by opening up my life I could represent the people in a fair, honest, loving, caring way.” At the risk of coming across as just one more cynic in the massive cultural choir of cynics, I wish Mr. Cohen and his family well and I appreciate what appeared to be sincere emotional integrity in his resignation, but I did not hear one word from his mouth about how he was truly repentant in the way that I have described. Unlike the example of Tiger Woods, I think Mr. Cohen owes the people of Illinois more than a sob story in a noisy, crowded restaurant. He could have been one heartbeat away from the governor’s office. Unfortunately, these kinds of shenanigans in Illinois politics and in politics in general seem to be what we, the people, seem to expect and thus accept. This is why the words of the prophet Joel are just as relevant today as they were thousands of years ago when he said, “Why should it be said among the peoples, ‘Where is their God?’” when we religious believers, who claim to believe in an all-loving and all-wise God, tolerate the ongoing cycle of Bill Clintons and Rod Blagojevichs and Scott Lee Cohens of politics by thinking our work is done because the system worked by removing them from office and thus the world is devoid of godly leadership grounded in humility and honest service to the common good. Even worse, the people are justified in asking, “Where is their God?” when we religious believers, when we Christians, participate in the culture of voyeurism, judgmentalism, and condemnation epitomized by reality TV and gotcha politics. Where is God in all of that? I condemn myself. I’ve watched my fair share of reality TV (“American Idol” … ehem), and I just cynically judged Scott Lee Cohen. I suppose the societal road to repentance could start with something simple, such as spending a few minutes of our own time researching who should get our vote before we go into the voting booth and by not watching the latest round of Celebrity Apprentice with Rod Blagojevich, which, I believe, will be on Sunday nights. How appropriate. Let us pray this Ash Wednesday and this Lenten season that we do not call out to the world to pronounce hypocritical judgment and produce grief that leads to death. Let us preach and minister in the name of Jesus Christ who leads us in the repentant life, which ultimately leads to salvation.